Lined up in a planter in a yard off Second. This is an experiment in using documentary and poetry to reveal the threads that tie us together - as people, as states, and as a nation. For two years, filmmaker Jennifer Crandall has crisscrossed this deep Southern state, inviting people to look into a camera and share a part of themselves through the words of Walt Whitman." There's an SWO posted at 581 Fourth, the vast construction site at Fourth & Prospect Avenues. The date is a little unclear, either the 21st or 24th April, and strangely, there's no record of the SWO on the DOB website. It could be related to complaints of excavation undermining an adjacent building. The site was flipped by the Rabsky Group to the Daten Group in 2015, and plans switched from rental to condo units. No inclusionary housing here. At the northern end of the Fourth Avenue block, at 561, a corner building and adjacent property on 16th - a pretty looking carriage house - are listed for sale for $4,600,000 with "lots of opportunity for additional development." The storefronts at 561 and 563 have been shuttered for several years. Unless Frederic Wiseman is working down here (a glorious but unlikely prospect), the title of this project does not inspire enthusiasm. I very much enjoy talking to Ronald, who has a regular spot panhandling near the Bagel Hole. He's both arch and gloomy - a kind of citified, discriminating Eeyore.. At Easter he upped his normal casual game and stepped out in a really sharp suit and tie, and a lady ran across the street to greet him: "Ronald! Is that really you? You look amazing!" We're all for the mix-and-match of bargain buys and used clothes paired with something fancy. We talk dresses (though neither of us wears them as far as I know) and the rakish angle of hats. I've promised to buy him a London t-shirt when I visit this summer, and though he hardly needs the size he wants it extra large. He makes me laugh about as much as anyone I come across on Seventh, which is not generally known for drollery and sartorial taste. He's a charmer. 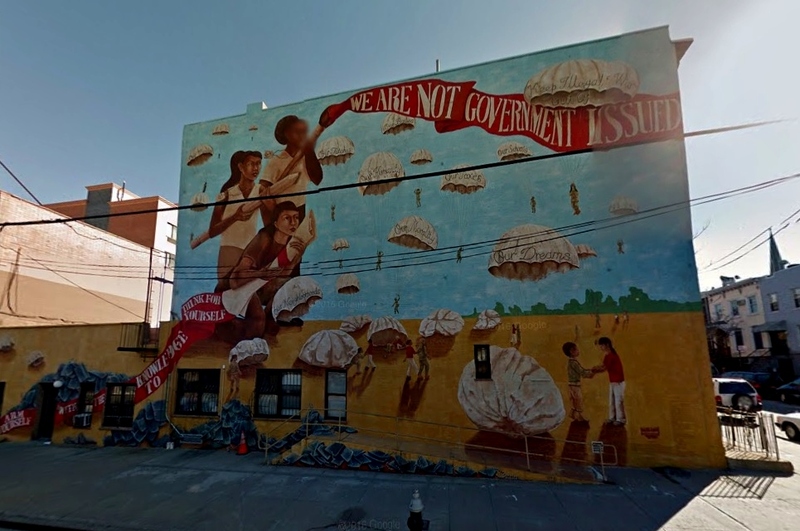 There's been a Groundswell mural up at Third and 23rd since 2008. It was painted by a group of young women who wanted to draw attention to military recruitment practices in lower income neighborhoods. As with other murals painted through the Groundswell Community Mural Project, it promotes collaborative youth empowerment, and highlights an issue pertinent to under-served communities. And it involved research. For this project, this meant talking with female veterans about their service, and researching the laws surrounding recruiters' access to high schools, high school students & their families. The women also studied the use of military propaganda. According to the NY Times story, the mural was designed with its location in mind. The top portion, visible to expressway traffic, offers a broader, more immediate impact, while the street-level portion is more detailed. Yesterday was as traffic clogged a day in the city as I can remember. If you're stuck in the middle of it all, with little hope of moving, the only silver lining (such as it is) is being able to roll down the windows and take in the elevated views of the familiar. Had I noticed the Bell Fire Extinguishers Saved by the Bell slogan before? I don't think so. I came up from Third Avenue to Fourth, just as a bunch of schoolgirls was leaving Al Noor. There was a woman leaving the building too. She was carrying a tote bag on which was written NO PHOTOGRAPHS PLEASE. I wondered if this was a slogan or an actual request. I guessed it was the latter, and that sounded awful. On a 20th Street lamppost, there was a weather-beaten sign for a movie shoot. It was an indie film. The title seemed a little grandiose. Up to Fifth and home. 20th Street between Fourth and Fifth is really getting hammered by new development. There are three construction sites on the north side of the block, and with 228 and 230 set for demolition, it looks like there'll be a fourth soon. In 1880 the block was mostly empty lots, with only a cluster of wooden buildings at the top of the block, and two more houses farther down (one wooden, one brick). 228 and 230 were there, along with a row of wooden houses on the other side. 228 & 230 got stucco jobs that make it hard to make out what was underneath, but across the block, you still get a jolt of time travel. Typically-sized at the time of their construction, this little group of frame buildings seems only to get smaller as the bigger buildings rise around it. Houses like these wear their age modestly, but they wear it well; they've toughed it through a century and a half, and need no period recreation to show off their looks. The beauty's in the living. Still fixtures on Astoria Boulevard, some businesses that, either in name, or looks, or both, are working an earlier commercial appeal. The City Sliquors, and the Spin City laundromat, are still banking on a 90's era corny charm, though maybe they're not quite as good as Hanna and her Sisters Nails, on (still Astoria) Broadway. Other old favorites on the stretch between 21st and 31st include the best looking realtors' office in the city. I'll take this over the any of the softly whispering Hearths and Collectives and Compasses. And even Zealestate. Millionaire is kidding no-one here. Let's spell it out - it's all in the money isn't it? Though in fact it looks like something of a budget operation, which makes its name even better. Whenever I walk by, I'm always glad that all of the letters, and the little yellow house and the old Astoria phone exchange are still intact. I'm not too sure about that sign in the upper window though. 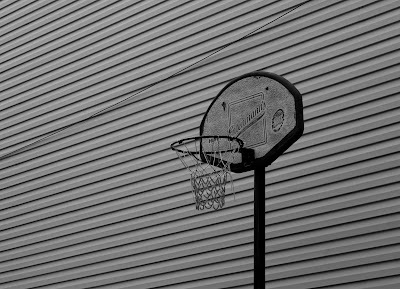 Farther along, there's a block where the signs get manic - a riot of stop signs, foreclosures and bugs. The size of the bedbug and the cockroach will get you feeling queasy, and if you're like me (be glad you're not), the Pest Control/Beyond Pest Control dichotomy will play in a loop inside your head far longer than is good for your health. In quite another stretch of Astoria Boulevard, some charismatic signs from a while back. They were taken in - what? - 2014. It only seems a minute ago. Are any of them still there? I hardly have the heart to check. I was wondering what was happening to the empty store after the Z & T deli closed recently. Today I found out, from a notice in the window, and the news is good. La Bodega Studios offers affordable studio space to artists, as well as a storefront gallery, community classes, and various artistic events. Centrally located between Sunset Park and Park Slope, La Bodega seeks to build bridges (not walls!) and we hope it will bring people together in our Brooklyn community and beyond. Miguel Ayuso is a Brooklyn based graphic artist and illustrator originally from Oaxaca, Mexico. His art takes many forms and has appeared in the Mexican Museum of Design in Mexico City, The Institute of European Design in Barcelona and The Brooklyn Children’s Museum in NY. At the foundation of his process is an incessant desire to play, re-invent and create whimsical imagery. When he’s not designing, he’s out riding his bike, playing with his two kids or finding another colorful poncho to add to his growing collection. If you've been to nearby Baba's deli, you'll see a mural of Ayuso's in the back yard. La Bodega Studios will be participating in the South Slope Open Studios (April 29, 30) & its grand opening will follow on Cinco de Mayo. 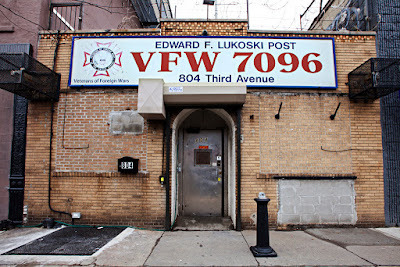 VFW Post #7096 has been at 804 Third Avenue since 1956. 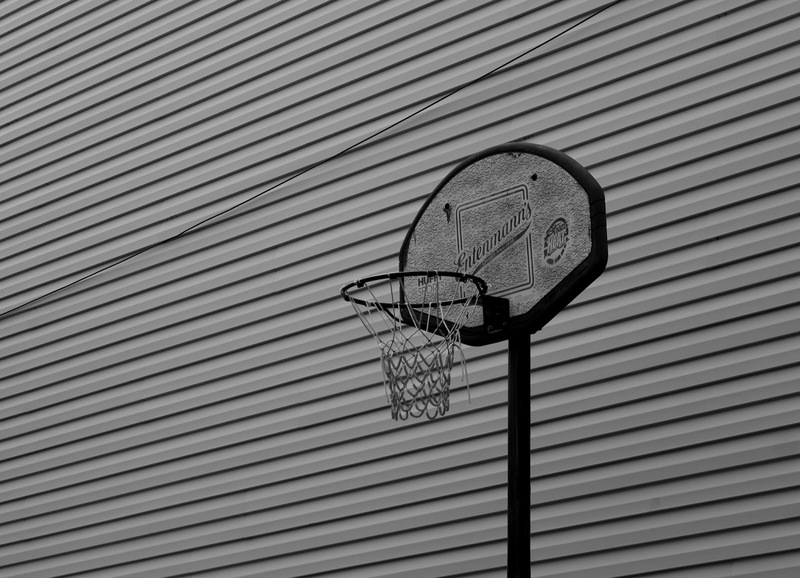 When it opened, there were around ninety active posts in Brooklyn. Today the VFW website lists fifteen. Post #7096 sits in the shadow of the Expressway, right around the site of the Gowanus village the Dutch settled almost four hundred years ago. Before it was a VFW Post, this was Klonowski's Bar & Grill, one of the many waterfront saloons along the avenue. Today the building's windows are bricked in, and it's hard to get a look through the small grilled window in the door. Unless you're a vet or an invited guest, you might have passed by hundreds of times without knowing what goes on inside. A knock on the door changes everything. Over the course of a couple of blustery winter afternoons, I sat at the bar at #7096 & talked. I spoke to Christopher Leon, who has served as Post Commander since 2013, and Mickey Velasquez, who held the same post for a year, succeeding longtime commander Ken Dunn. Both men are Brooklyn born and work close by, at the MDC. Both saw active duty in Desert Storm, as Marines, and both have sons in the services. When you step in the Post, you'll see it's been recently renovated. The paint still looks fresh. 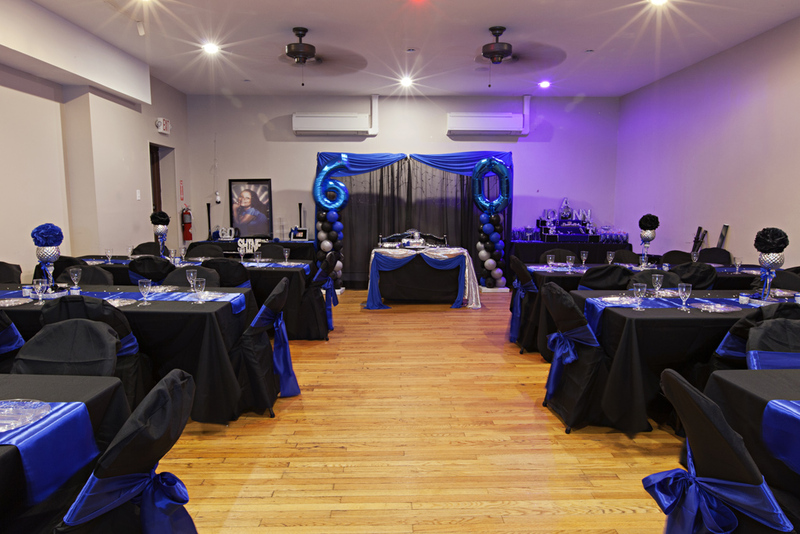 A fix-up was on the cards for years; the building was deteriorating and the back room, used for Post functions and party rentals, had become unstable due to water damage. 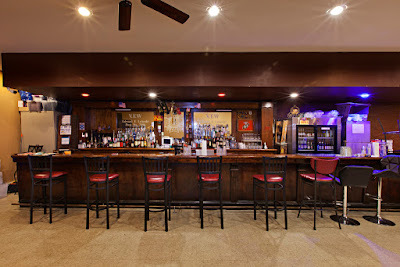 Before I visited the place, I'd read several accounts of a long and contentious dispute between the VFW and CBS (who owns the next-door property), but this was a story of the past, no longer up for conversation. The work to fix things up was a hands-on effort by Post members, and donations from local businesses helped. Home Depot was especially generous. My extended family has been having parties here as long as I can remember - christenings, first communions, confirmations, birthdays, etc.. St. John the Evangelist our local church, where most of the religious ceremonies took place, was just a few blocks away. 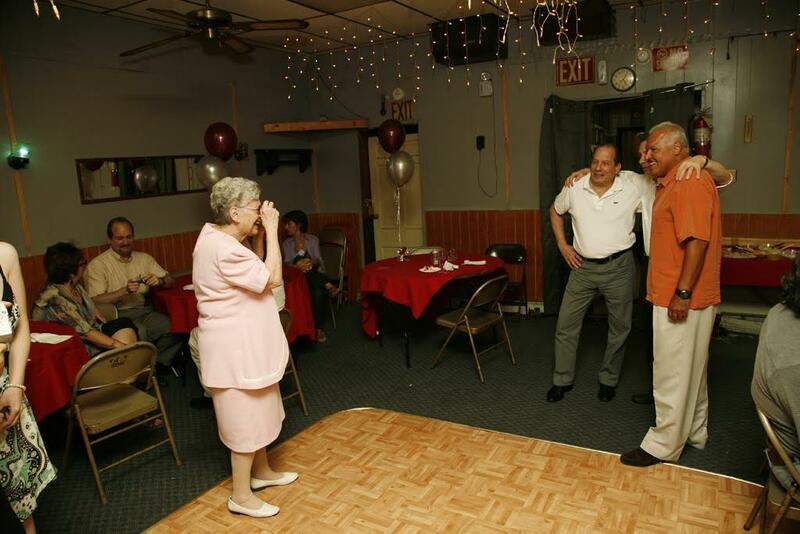 In 2009 my cousin Joe came up from Atlanta to have his 60th Birthday party here. I have to admit I wish I'd visited Post #7096 prior to its renovation. 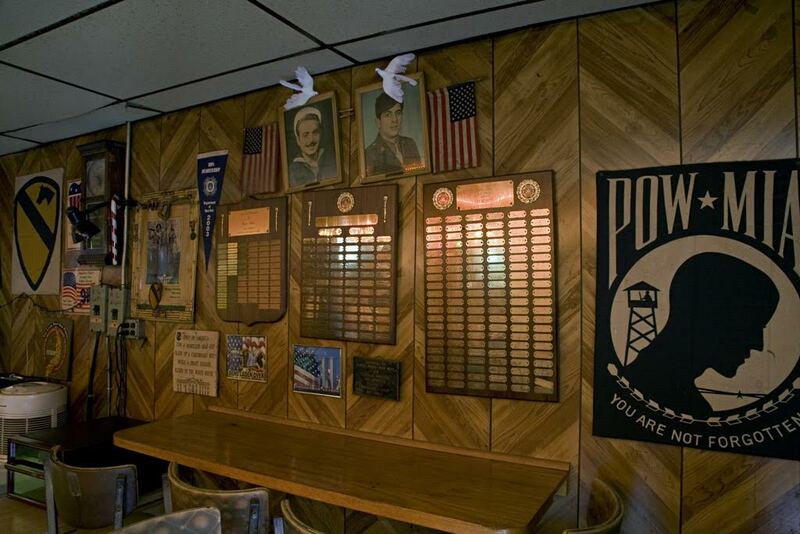 The bar at the Lukoski Post remains in place today, but the photographs and Color Wall, the jukebox, the arcade games and the pool table have vanished. While some of the Post-related memorabilia will be back on display again soon, the machines are gone for good. I asked Chris if the jukebox, at least, was making a return, but he said no, it wasn't what the younger guys wanted any more. And he's right. The pictures show a cozy, clubby, paneled bunker of the 50's or 60's. They readily play tricks on the senses. Memories and nicotine have seeped into every square inch of the rooms, and just looking at these photographs, my clothes seem to accrue the smell of cigarettes. It's a comforting sight if you're over fifty, but it's not a scene for a young veteran in, say, his or her twenties or thirties. Behind the bar, there's a copy of the booklet that commemorates the Post's opening. Aviation Machine Mate Edward F. Lukoski, another Brooklyn native, who attended local PS 10 as a child, died in 1943 when the aircraft carrier U.S.S. Franklin was bombarded by Japanese aircraft. The booklet is a time capsule. The ads build a picture of the local businesses of mid-twentieth century South Brooklyn, with phone numbers bearing the SO South Brooklyn or ST Sterling exchanges. Candy stores, ship-scalers, taverns, delicatessens, appliance stores. 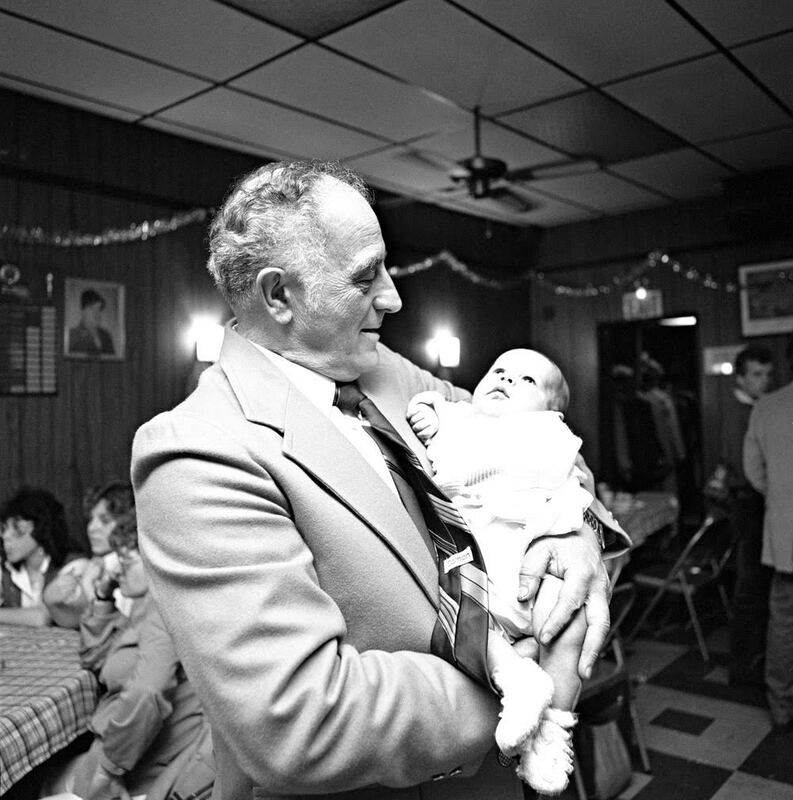 The White Eagle Market (later Eagle Provisions) is listed, along with a score of other Polish businesses and family sentiments - a reflection of the neighborhood's sizable Polish population. As I turned the pages, I recognized just three places still around today: Our Lady of Czestochowa, Joseph Duffy Funeral Home, and the Bay River Liquors ("Brooklyn's largest liquor store"). The closely related spheres of spirits and the spiritual linger the longest. 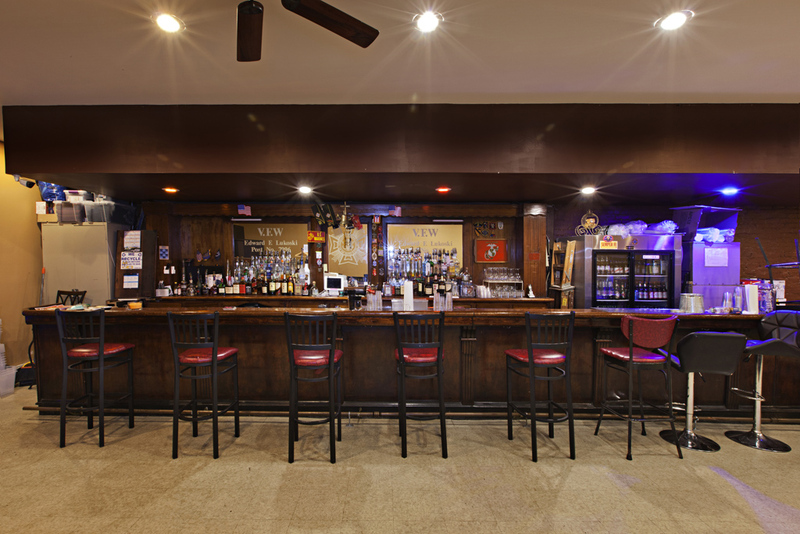 The Post's new looks are a point of pride, but right now, the bar room looks too bare. Chris plans to decorate it and bring back some of the earlier displays, and add more recent contributions. He wants to liven the atmosphere of the place while still acknowledging its early history. He wants to make it relevant. Talking to Chris, you sense his resolve. He's taken on his role as Commander with a good deal of energy, but it's a tough mission, nevertheless. Today enrollment at the Post stands in the sixties. Although the roster includes veterans from recent combat, recruiting younger members in any number remains a challenge. Somewhat ironically, the most recent recruit is a wheelchair-bound veteran of the Second World War. 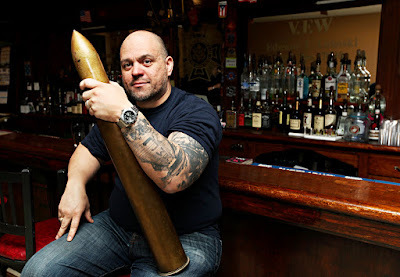 Mickey believes that demographics - the sheer numbers of troops who have seen active service in Iraq and Afghanistan - and the common lapse of time between a veteran's military discharge and his or her joining the VFW will bring a boom in enrollment within the next decade, but Chris isn't so sure. Looking back to older pictures of the Post in post-war decades - when veterans, spouses, children, filled the place - he'd like to recreate the same lively atmosphere, but he understands how different the pattern of family life is different today. Now, in most households, both parents juggle the dual demands of career and family; as the parent of four children, three of them young girls, Chris shares the shuttles to swim meets, and after-school activities, and all the rest of the to-and-fro of modern family life. Along with a busy family calendar, patterns of entertainment have changed too, and an older-style Post atmosphere doesn't work so well for younger generations. 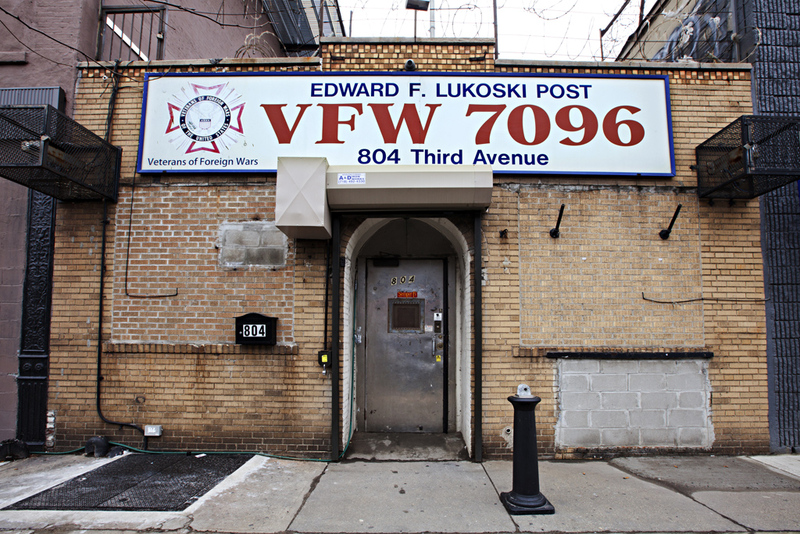 Declining VFW membership is a national issue, and it's generally accepted that fresh approaches to Post operations are needed. These have included a focus on health and fitness (including pain management clinics), volunteer opportunities like Habitat for Humanity, art therapy and displays of veteran art, public speaking classes, enhanced networking opportunities, and a conscious effort to welcome female veterans. 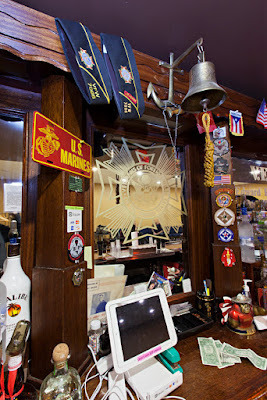 Some Posts have had striking successes by reworking the old VFW model. Chris cites Long Island as having one of the nation's strongest VFW enrollments, with a tight veteran community support system, and the ability to draw in younger recruits, but in the city, the scene is sparser. Some of the urban Posts in booming cities may find other demographic challenges too. Post #7096 is sited in a waterfront neighborhood targeted for gentrification, and the cost of housing here is now well beyond the budget of many working and middle-class families. As the neighborhood becomes more affluent and younger, and older businesses fade, there's less connection to the older institutions. The area, like the Post, stands at a point of transition. The longer I spent talking to Chris and Mickey though, the more respect I gained for their strength of purpose, especially their dedication to preserving the Lukoski Post, and to meeting the needs of a new generation of veterans. Take Mickey's life, for example. He believes he was destined for the military. His grandfather served in World War II, and his mother sang him to sleep (or so the story goes) with the Marine Corps Hymn. When his parents went out in the evening to a show, or dancing, it wasn't a teenage girl who came to babysit for Mickey & his brothers, but Butch and Paul, Vietnam vets who put the small boys through their paces with military training workouts in the family basement. The kids loved it, and it was a surefire means to get them tired out & ready for bed with none of the usual while-the-cat's-away babysitting malarkey. By sixth grade, Mickey enrolled in Marine Corps cadet training, in Williamsburg, and as soon as he was old enough, he enlisted. He served from 1981 to 2001, and from 2001 to 2014 he was in the Army National Guard. His unit was based at Battery Park right after 9/11. Though he now lives in Staten Island, and could easily attach himself to a VFW post closer to home, he calls #7906 his "living room." 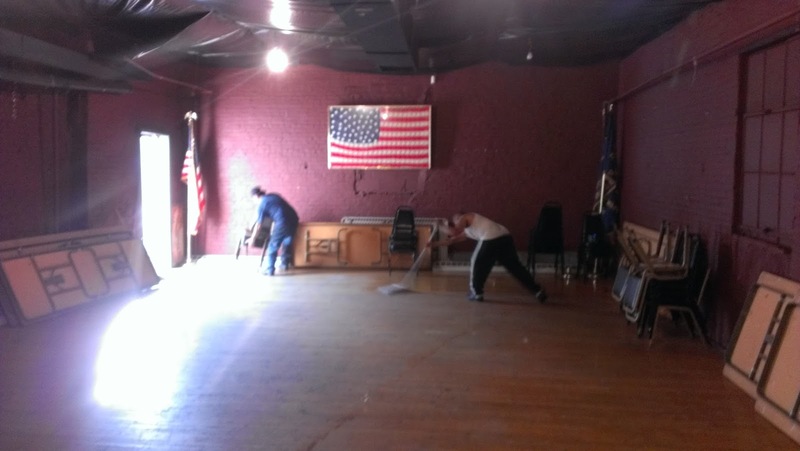 He's as committed to the place as he is to the VFW values of "selfless service." 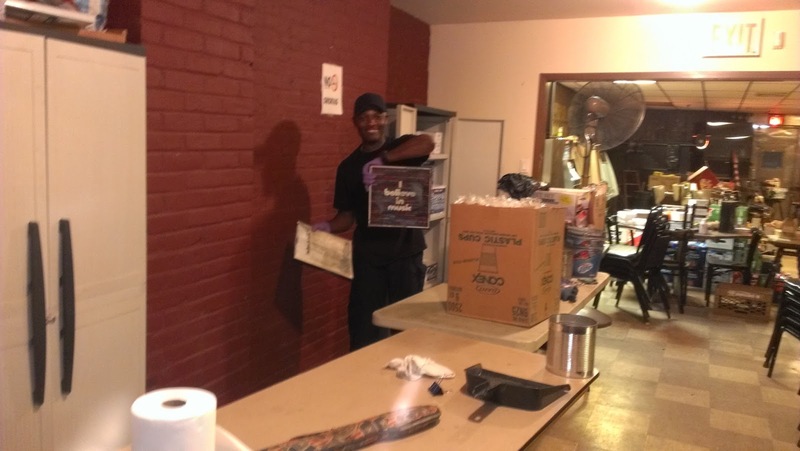 No longer enlisted, he's still eager to give back to his community, and on call to serve the needs of his fellow veterans. He can't envision life any other way. The VFW's historical mission has always been one of advocacy - of lobbying for post-service benefits & support services for American veterans - and the local Posts provide veterans with a local and caring support community. Given the nature of modern warfare, today's veterans have a greater need than ever. 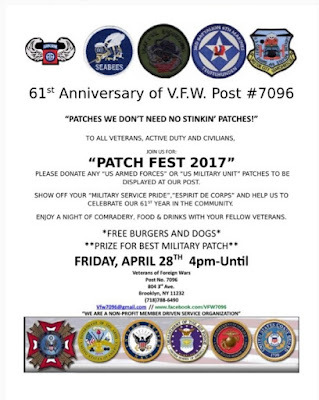 Next month, on April 28th, #7096 will be celebrating Patch Day, and the Post's 61st anniversary. Civilians are welcome to attend. Go visit - you'll be made welcome. In an increasingly polarized and indignant America, it's more important than ever to take the time to open doors. This piece will also be posted shortly at Brooklynology, the BPL's Brooklyn Collection blog. Larry Racioppo's work is currently included in the Brooklyn Collection's exhibition celebrating the 150th anniversary of Prospect Park. The exhibition runs through May 26th at the Central Library, Grand Army Plaza.